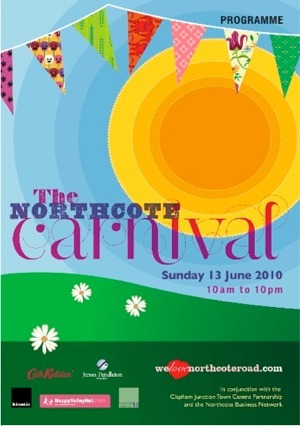 It’s the second Northcote Carnival this weekend. Sunday sees a day of events on a closed off Northcote Road. Despite only being the second year this year has seen it get much bigger, as well as boasting the usual markets, stalls and entertainment it all has two stages (a gauntlet thrown down for all the other events, perhaps) with bands and entertainment running into the evening. You can get more details from the We Love Northcote Road website.